But, how do you deal with a person who know matter how much the hand is working they complain? I did a good luck hand for a friend - in two weeks, her business has increased, daughter got into college of choice, better harmony with her husband, and a few other things - that's darn impressive. Instead I get "can you do something so my daughter gets her own room at school".. honestly, I'm not wasting MY energy on this sort of silliness. Has anyone faced this? the receipient who is never pleased and wants more, more, more? Are you charging money for your work or just doing it as a favor to friends? If you're doing it for free, start charging. It sounds to me like this "friend" is taking advantage of you. If you tell her "I charge this amount per hour or per job," she probably won't bother you anymore. For free, I always do.. and I have to say she is notorious for taking advantage of all of her "friends".. .She's the type who will monopolize your life and then when she and her husband are getting along, breaks your lunch plans, etc. I'm half tempted to do some small "cross" work on her to cut her down to size. But, not sure if it's even worth it. Yes.. this happens to me in "other" situations too. You sound like a very giving person. This person, this friend...is taking advantage of you. Your kindness is being taken as a weakness. Your kindness is a gift and should be appreciated as such. It is easier for me to preach wisdom than to accept it myself sometimes... I have been exactly where you are. Light a good white candle for you-- YOU--just a little tough love from someone who has been in your shoes. I believe you must give in order to receive-- not for the sake of receiving, but because giving is the right thing to do; HOWEVER, there is a line______ and sometimes people cross it, because you are probably very genorous and caring and you have to say no or make them recognize that what they are imposing is selfish. Work the Lucky Mojo products for you and for those that you hold dearly! TripleThreat.. such kind, wise words and greatly appreciated!!!! you are spot on about my personality. and a LOT of people perceive kindness as weakness and I often forget the whole don't make someone a priority who makes you an option. No worries. I have a constant blessing candle I burn for myself and my twin.. that relationship is the most fullfilling one I have ever had and she's on another plane of existence (she was stillborn). But thank you. I deeply appreciate your kindness. Thank you for the kind words. I believe your twin is with you. I am certain you already know this. I have always believed the research that has been studied about twins and feelings, etc. Your twin is probably your Guardian Angle. Listen and look for the signals. I would start charging. Then they will see the value of your work. It's a rarity to see people who will work for free, whether they are friend or family. Thank you St. Anthony, Ancestors and Expedite. Definitely charge. I do work for my friends ALL the time, but my friends are pretty good at getting the materials I need, and paying me back in the means of a gift, or buying me extra materials or whatever. I can understand doing things for free when things are dire, however, do not continue to let someone take advantage of you. Furthermore, you need to let your friend know that everything is not going to work especially if they are already thinking negative. I would not cross her, but I would just start taking "breaks", and telling her you need to revamp your energy. But I would be direct, and let her know that your time, gift for the work, and energy are very valuable. It really does take work to put things together,and work them for days straight. Thank u St. Martha for everything you have done on my behalf. Thank u St. Elena! I appreciate your great help. Thank you St. Peter for opening the gates&roads! Hi, how are you? I want to develop psychic abilities, learn tarot, palm reading, scrying, numerology, tea leaf, body reading, wax reading, interpret dreams, pendulum, contact the dead etc. Is there a course to learn how to master reading techniques? There is not a course specifically for readings (although now that I think about it...that would be great), but you can try browsing through the book section. I think in the forum we have talked about some great books that are good for readings, and rootwork. To help develop your psychic abilitiies...psychic vision is great. I mean you are talking about an array of things...that it takes people years to really develop these skills. In addition, not everyone is great at everything. would recommend that you get a reading to see what areas you will be good at or have potential in so that you can really fine tune those qualities. I agree with Stars -- the usual steps in learning how to become a reader are to get some readings, see what gifts you have, decide which methodologies appeal to you, read a couple (at least) books on the system(s) that attract you, and then try to either take classes or mentor under a reader. That's how i learned -- and how most of us learned. Step two -- fearlessly assessing what gifts you have -- is the real beginning, but there is training involved too, and that's where books and teachers come in. I picked up most of what i learned from one woman (a professional reader) and the rest from a second reader (another professional) and then set up on my own, reading for friends for about a half a year, as a teen, before i went professional myself, still as a teen. Stars is also right about another thing -- getting readings often opens up new paths in psychic development. I would never have become an astrologer except that i went to an astrologer to get a natal chart reading, just out of curiosity, and he saw that i would be a good astrologer! Instead of giving me my chart, he loaned me his books and told me to cast my own chart and come back and tell him why he had done that. As soon as i drew up my chart and started reading about what it showed, i knew he was right -- i was going to be a very good astrologer indeed! It was funny to me, but he was right -- and i remain thankful to him to this day for seeing that gift in me that i did not even know i had. There are a number of readers in AIRR who teach classes or who will take on an individual student, if the student seems gifted. Start with one system or two -- palmistry and cards are the most popular -- and learn them well, then add more systems to your repertoire as you encounter teachers or as you feel spiirit-led to try those other ways of working. For instance, in my case, psychometry was my earliest gifrt, and no one ever taught me -- but palmistry, card reading, numerology, and hand-writing analysis i learned under the direction of two different professional readers. . Thanks to all involved in this thread...it was a great read and answered a few of my own questions/curiosities! For learning tarot, I recommend starting out with the rider-waite deck. Only because there are so many books that can help you learn about it. There is even a version of the deck that has the meanings on the cards. But after you find out what you are good at...practice practice practice. Gosh I can't even tell you how many nights I would stay up studying and spending hours just looking up the meanings. Once I got good at the rider-waite...I moved on to different other decks. The journey is not going to come easily, but it is well worth it no matter what divination system you choose. Another word of advice, Remember it is not just about studying and knowing the written meanings of the cards. I have known many people who never read any books on the meanings of specific cards and were good readers. ( I am NOT saying don't study! lol I later helped these same people to also have a good understanding of the basic tarot ) Follow your intuition when doing divination. Confidence in yourself when reading for others is definitely necessary. Know your comfort and ability and you will go far with whatever form of divination you find most connected to. Also Do not be surprised (as many new readers find themselves to be) if you have a difficult time giving yourself accurate full readings. lol. It can be frustrating I KNOW. I believe that being too close to the situation we see only what we want and not everything that is there. I have had good results with simple Yes and No questions for myself though. But I now always go to someone else for more depth to my path. May the Road Rise you meet you. Yes I agree with willowspell on this one. I have a hard time reading for myself sometimes. So I would ask a friend if you can read for them. In addition, you should definitely look at the cards themselves. I started out that way with a tarot card class I took, and later got books. I started out with just drawing out cards, and then slowly moved to spreads, and so on. I think the important thing to remember is that its a process, and it takes time and practice. Thanks for the great advice now I'm excited to get started. I'm definitely going to get a reading. Hi all - thanks for the great post. I've been practicing for a while and my regular rootworker mentioned to a friend of mine (who got a reading as well) that I'm 'talented' in rootwork. When I asked him what kinds of gift I have, he insisted I must get that answer from my own experience. I took his words and didn't ask anymore. And in fact, while my rootworker gives me suggestions for things in our readings, I'm always supposed to learn/find out about how certain things work or how to work them, etc on my own as he believed that's how one develops one's talent. This makes me curious/motivated but also a bit confused at times because for amateurs like some of us, how do we access our gifts? E.g. How do I know if I'm gifted in working for others when rootwork is a bit of a secret I keep from most of my friends? As for those who're in the know, how do I get them to trust me to 'tackle' their situations/issues while I don't know how much I can do? As for working for myself, let's say I focus on doing money work for a while...how long does it take for me to get around to less straight forward issues like, a troublesome landlord? And when do these situations arise? When you first starting out, Don't think of it as trying to convince your friends that you can tackle their situation. You could probably help a bit but don't over step your experience. Work on your divination skills. It's like someone learning to drive. When in driving school the cars you practice in have the signs all over them letting people know that this person is just learning. I suggest that you let the people know that you are just really beginning to learn whatever form of divination you end up choosing. and will do the best you can to give them some information. and thank them for allowing you to read for them. in time you will gain your confidence in your abilities and be able to take the next step in your hopeful practice. Don't jump from the diving board before you learn to swim. One step at a time. As someone who is studying and developing her psychic abilities and has been given readings by intuitives, I highly advise training in discernment. We perceive the world differenlty from someone else, thus spiritual messages are suited for readers to personally understand and interpret for the readee. Hence, I strongly recommend long-term training or an apprenticeship with an experienced reader in whatever 'field' you choose (Tarot, Runes, Bones, or just doing intuitive readings). Those courses that last 6 or so weeks are for people who would like to do it for themselves, not others...in my opinion. The person you train under will walk you through your own personal symbology, help you figure out what special abilities you have and how to develop others, help you learn to interpret what you get...etc, etc. It is a lifetime journey! Who are some of the AIRR members that offer such classes? Divination, yes, I do read cards myself and have psychic vision work done. I read for friends and do magic for a few, mostly simple things. I also want to know which AIRR members offer such classes! Many AIRR members offer magical coaching sessions that you can get for more than having them walk you through spells. They can discuss spreads, ways of reading, how they read, and give you specific pointers. 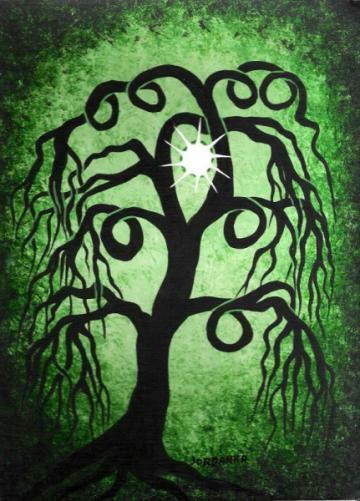 Other AIRR members offer actual classes in various aspects of conjure. One of the best ways to actually learn how to read is to be read for. Get readings from many different reputable readers and learn their style, listen to them, ask for pointers, then apply such methods for yourself. I agree with getting the readings from different readers. That has definitely helped me in my reading, and I learned which decks I do not like and so forth. Does it say on the AIRR pages which ones offer classes. Not that I know of, but their personal website do I believe. I don't know if I am able to discuss them on the forum. I don't think any offer specific classes on reading, but they do on other conjure-related stuff. As for honing your ability with a reader, magical coaching sessions can definately be used. Hello everyone, Is it customary to get a reading to assess your abilities or skill with hoodoo? Sometimes I think I've been gifted with at least some level of skill and then other times I think I've got no skills at all. Is is typical to get a reading to see if you are gifted for this kind of work? Is that done? Hi, Melissa. I am not sure it is "customary," since many people just push ahead thinking they have a way forward until they meet with blockages, but paying for a reading to assess your spiritual gifts is actually a very good idea. You might also ask at the same time why you are lacking in self-confidence. Any of the readers and diviners at AIRR should be glad to help you sort through this question. If there is one to whom you feel most attracted, choose him or her to be your spiritual guide in this matter. While not completly inept, I have a definite lack of experience with divination techniques. I am a barely adequat Tarot reader, and have begun researching reading playing cards, use of the pendulum, and the throwing of bones. I feel like I'm staring down a wide bore. Even cursory research is enough to show how broad a topic divination is. As an aspiring student of hoodoo, what would be the core methods to focus on? And (if the question isn't gauche) what sources of information would be the most reliable? I would appreciate any help. TheDixieFlatline wrote: I have a definite lack of experience with divination techniques. I am a barely adequat Tarot reader, and have begun researching reading playing cards, use of the pendulum, and the throwing of bones. I feel like I'm staring down a wide bore. Even cursory research is enough to show how broad a topic divination is. That "large bore" might turn out to be a cavern with many trails, only a few of which are brilliantly lit. I mean to say that the methods of divination you should focus on are the ones that work the best for you -- the ones that tell you the most truth. The spectrum runs from math-heavy ones like astrology to highly intuitive and intangible ones like clairvoyance/clairaudience. Between the two lie crystal-gazing and other forms of scrying with material objects, tea-leaf reading and cereomancy, bone-reading, bibliomancy and card-reading. I list these in rough order of decreasing intuitive-ness. I rely on the last three methods named. My clients tell me I'm pretty accurate -- including one or two who were dead sure I was wrong during the reading! And then there's dream interpretation -- Lucky Mojo has a delightful selection of old-time dream books. If you select the one that appeals to you, you might soon find your dreams tailoring their "vocabulary" to fit. One more thing: Nearly two decades ago, when I first picked up a Tarot deck, I pulled a card every day to begin memorizing their meanings. I was absolutely shocked and astonished when I pulled the Empress -- one of whose meanings is abundance, according to E. A. Waite -- on the day when a coworker spontaneously brought a cheesecake in to work. So just goes to show you -- it can take time for a particular method to tune in on you. It helps very much, thank you. I feel less like I'm grasping at straws. I think I will study and experiement a bit more, and focus, as you say, on the methods that suit me. Thanks, again. I do divination work every single day to learn and improve my abilities. One of the most valuable things I have found is to keep a journal tied to my readings and record my initial impression and then go back later and document what really happened. I mostly work with cards. What I have discovered is that I am very gifted at the vision, but not so good at the initial interpretation. After the fact, my reading seems so obvious that I want to whack myself upside the head for not seeing it. I've been doing this since April/May 2012, and I'm beginning to get frustrated that I seem to be improving with my interpretation abilities far too slow. I find that I am much better at reading for others than I am at reading for myself. I have also found that I can't seem to read at all for some people. I use LM master key, psychic vision, and clarity oils every time I do a reading, and I dust my cards and other divination items with master key sachet powder when I feel called to do so (usually on Wednesdays). I also drink dandelion tea regularly, as well as anise tea. Sometimes I chew on a little anise while doing a reading. I try to meditate for at least 5 minutes before doing any divination work. The past couple of months, I have started remembering my dreams again (I seemed to have stopped dreaming while I was married, but I'm separated now and getting a divorce and have been out of contact with my ex since last April). Some of the dreams seem important, and I am recording them in my journal. I recently had one about a spider that I feel certain is an important message. Right now for me my main and only tool of Divination is my Doreen Virtue Angel Tarot Cards Deck that I happen to come across by watching a YouTube video of a reader who does weekly readings. She uses a different Oracle or Tarot deck each week and this one just called out to me. I try to do a reading each day with the cards, almost always on myself as there are not too many people around me that I could read for or read on, and my skills are improving slowly but surely. I think using the cards daily; repetition, being persistant, and having the intent on becoming a clear and perfect channel is what one need to have in mind to become successful at this, even if it takes a long time (in our third dimensional perspective of things) or seems as if things are not improving. A year from today you will be in a much clearer and enlightened position than you are at this moment. You will be able to look back and see your progress, no matter how big or small. All progress is good! My best advice for anyone trying to pick up divination is to try out as many different kinds of it as they can until they find one that really fits. I started with Tarot like many people, and I'm pretty good at it, but I found Geomancy and fell in love. Now I read Geomancy (soo good and soo easy) Tarot, the I-Ching and I'm learning the bones. Never stop trying new things, never stop learning. Playing cards: Ana Cortez Playing Card Oracles book. Pendulum: Richard Webster's pendulum book. Throwing bones: My own book on Bone throwing. Additionally, i recommend that you get one of the large books that covers, in miniature, most of the major systems used in the European traditions. None of these cover African, Levantine, Asian, or Native American divination systems, but they provide a basic overview of the Anglo-American methods. The best of these, in my opinion, is "The Complete Book of Fortune Telling." catherineyronwode wrote: Additionally, i recommend that you get one of the large books that covers, in miniature, most of the majoy systems used in the European traditions. ... The best of these, in my opinion, is "The Complete Book of Fortune Telling." I rely on that book almost every day, Miss Cat -- though, truth to tell, mostly the chapter on tea leaf reading. I use it to interpret the more puzzling shapes in candle wax and in my crystal balls. I would recommend having readings done for yourself just to see how other Psychics work but avoid getting hooked on having reading after reading as this will not empower you whatsoever. You can find readers like Spiritual Mediums who are not really supposed to predict but to give proof of life after death. All you have to so is find a few Spiritual churches to go to and see then on stage. Also keep in mind that there are many stills like cold reading, hot reading and many more that you need to look out for. Keep an open mind but do not take any legal, medical, financial etc. advice from any psychic unless they are qualified to do so. It may take a few years but this is not something you can learn in a master course. It's more to do with practical experience and real talent. Find out about the art of suggestion as this will open your eyes to the power of suggestion. I have known people who have been doing professional readings for over 30 years but they are not really any good at it. They just give basic general readings which can fit into the life of many other people. I would also question the fact if a reader tells you to come back for another reading as they may just have their own interest of making money and getting you hooked. So it's very important to take personal responsibility. If you want to be a reader do free readings for others or exchange free readings. This is valuable as it gives you the necessary practice and you get to see other people's reading styles and how they interpret the cards and spreads differently. I once did a one month reading give away on an online forum and was bombarded with readings. I was doing 12-20 readings a day, I was surprised how quickly my readings picked up and began to flow very naturally. I do recommend one have a solid understanding of the cards meanings but the real skill is learning how these meanings apply to real life situations and contexts, you will not likely learn this from a book and be far better off getting the practical experience. Also listen to Ms. Cat and Conjureman on the radio show, they're some of the best readers you'll come across and just listening to how they use the cards has been invaluable to my own reading. I spoke to a few of my friends yesterday, I am now doing some free readings. So nervous lol. I did the reading and went with my gut when there were a few odd thing crop up. Thank you for the support I received from here as well. * is not incapacitated by medical illness, mental illness, drug abuse, or alcoholism. And there ya go -- the perfect reader and rootworker! LOL! I will tell you one more thing -- in addition to self-training for psychic reading by simply performing readings for friends, i know many spiritual readers who have also had theatrical, improv, and/or broadcast training -- and they are better readers for having had that training. A background in the entertainment business does not make them more gifted, of course, but neither does it make them "fake" (although a fake and economically predatory reader with theatrical training is a SERIOUS menace to the entire community he or she works in). Stage or broadcast training gives them the ability to time themselves to the length of a reading, speak without mumbling or using awkward repetitious interjections, meet unexpected challenges during a reading, and craft a "narrative shape" to the reading. But when it comes to rootworkers, such training makes little difference at all -- while training in the material arts, especially colour theory, interior design, cooking, sewing, beading, embroidery, crafts, candle-making, woodwork, metallurgy, stained glass, pottery, and photography, can assist one in becoming a stellar rootworker. Again, such training adds nothing to one's gifts, but it ensures that what one creates will have appeal to the eye, which is important if one is competing on the international internet market. Just be aware that all of the psychic gifts in the world are alone not enough to make one a reader, and all of the magical will power alone is not enough to make one a rootworker. There are many among my clients more "naturally" psychic than me, and a few who are better spell-crafters than i am, but without the other qualifications i mentioned, they cannot (or have not) become professional spiritual practitioners. Planning a career in reading and rootworking is very similar to planning a career in any of the entertainment arts. And you know what they say about that: "Don't quit your day job." Start with limited hours and work your way up. You will know when it is time for you to consider full-time reading and rootwork as an economically viable profession -- if that is what you choose to do. I have written an in-depth web page for graduates of my Hoodoo Rootwork Correspondence Course who want to become professionals -- and they will find a link to it in the "secret" Student Group Forum. Hey guys, I have been doing spells and rituals for myself for awhile but not for other people. I need to ask how do you do a work for someone else and still get results? For example a love spell, or a money spell. You just change the names to their names. Thank you very much for your help Miss Aida! I'm hoping someone can break down this decision. I want clarity but I also want psychic clarity. I also want to restore my psychic powers as they've been dormant or weakening due to lack of practice which I am now getting back into. So first of all, I'm not sure if I want to buy both clarity and psychic vision products unless I should mix or use together, but which will work better for my needs? Also, what can anyone recommend to powerfully bring back my psychic powers? I use to see things like it was no joke but over the years it seems I "lost my mojo" hehe. Many products can be suggested for this work and all would be sufficient, some will work very well together and complement each other. Such as a mojo, I would carry a psychic mojo or a master key mojo to assist. The psychic products can be burned to enhance, smoked on objects used, the bath can be used to wash items and ones self, the powder applied to items, the oil applied to your hands and you. Some herbs such as star anis are known for psychic ability as well. As you practice and more open to them again it will come back, its like any skill use it or lose it, but once you start up its like riding a bike again. Yes thank you all, this is very helpful! Unlock the secrets to creating a wonderful career as a professional psychic reader! 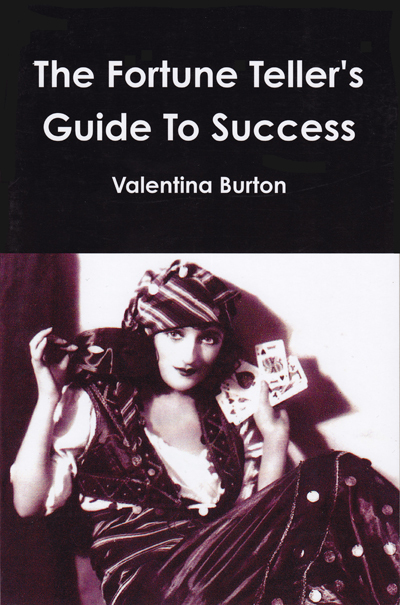 Author Valentina Burton leads you step by step through everything you need to know, and illustrates each chapter with hilarious true stories. This book is an incredible resource of tips and tricks, plus clear, straightforward advice from a famous professional psychic reader. 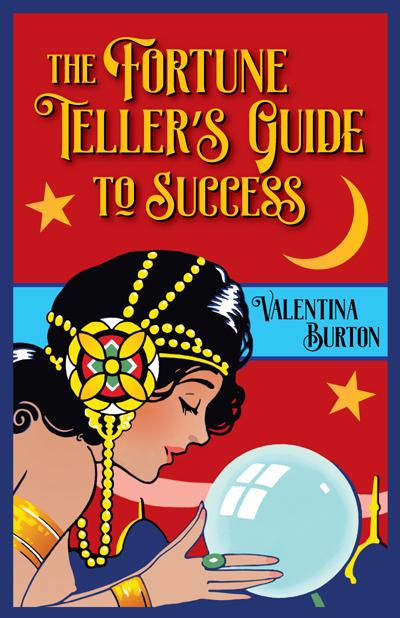 If you have ever considered divination as a career, or if you are a psychic reader who has found success elusive, this book is for you! And, for a LIMITED TIME, we have a CLOSE-OUT SALE on the previous edition of this book -- with a sepia-tone photographic cover and the same great content -- ONLY 22 COPIES IN STOCK at this special price! Thanks, I will add this to the top of my must buy list of books! This, is gonna sound crazy. I do free readings for friends to help my skills get stronger. Everyone, tell me I'm 85 to 99% accurate. I found out I have these gifts late this summer. I'm fresh as a newborns 1st pee. I can see everyone... but me. 1) Why, I can't read myself? Should I never question, am I blocked, or do I need to do this or that? 2) What do you suggest I do? Practice practice practice, every single day. Every morning draw a few cards for yourself, and WRITE DOWN your reading of them. Every week go back over what you have written - in time you will work out where your biases are, what you are putting too good a spin on, what a particular card means for you, how far out your readings are etc. If you aren't using cards or other tools then do the same thing but meditate and ask for your answers that way. This is how I learnt and I've been doing it for about 4 years now, I switch out the cards and things I use depending on what I am learning or interested in. In terms of Lucky Mojo items in particular, they have Psychic vision oil, maybe Clarity oil to see clearly, and I am sure they have a psychic vision mojo hand as well. Thank you St Martha, St Anthony & St Expedite for all you have done for me. Thanks for jumping into the discussion, Graveyardhag. 1) It is not uncommon for readers to have clarity when it comes to reading for others, but not be able to read for themselves. I've encountered this in my own practice, and the other practitioners I have been affiliated with over the years have had a similar experience. It may be as mundane as my own wishes and desires interfering with my ability to objectively see what is happening. Or it may be some kind of spiritual intervention for my own good. Either way, I trust it as a fact in my life and don't get too hung up about it. For example, when I perform a spell for my own benefit that involves other people and want to have a reading on its effect on them, I turn to another reader that I know and trust. I'm simply too invested in the outcome to read clearly for myself. In that scenario, I'm like the scientist conducting experiments in the lab and my reader is the intelligence officer telling me how the mice are responding. So don't worry if you are unable to read for yourself. It doesn't indicate a blockage or lack of skill. Trust in your ability to read for others, and go from there. 2) Graveyardhag gave you great answers to this question.